Each year, there are several boats that capsize or sink across the United States. Searching for these submerged boats is often difficult due to natural and psychological factors. Wind, water currents and other environmental conditions can move a sinking vessel out of the initial accident zone. Pinpointing the exact location of the sinking boat is often complicated by the effects of emotional trauma on memory and by the general lack of quantitative data such as GPS coordinates. Once a sunken boat is located, specially trained commercial divers and underwater salvage equipment are needed to retrieve the boat to prevent unnecessary damage to the vessel. 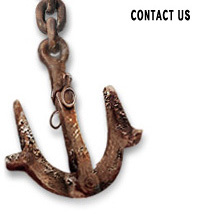 Cross Marine Projects is a leader in sunken boat search and recovery services. Our dive team has successfully located and recovered hundreds of boats over the years, most of which were raised to the surface in near mint condition and easily repaired. Over the years, we have raised boats ranging from small personal watercraft to large 3 story multi-million dollar houseboats (also recovered in salvageable condition). Many of these marine vessels were recovered in deep water at remote locations too dangerous for small scuba equipped operations. Our marine salvage divers are commercial divers, NOT recreational scuba divers. What this means is that they are professionally certified and trained to work safely in hazardous circumstances such as underwater salvage with equipment designed specifically for this type of work. We realize that this is not a normal insurance claim and that you may not know the best course of action for recovering your boat. We can help you by working out these complicated details with your boat insurance company.